English rider Ryan Moore confirmed his position as one of the best jockeys in the world by winning the Emirates Melbourne Cup at Flemington aboard German raider Protectionist. Moore came with a turbo-charged late surge inside the final furlong to deny the remarkable Red Cadeaux, finishing second in the Group One handicap for a third time, by four lengths. Trained by Andreas Wohler, Protectionist was a good winner of the Prix Kergorlay, a renowned Melbourne Cup trial in France, in August before finishing an encouraging fourth on his Australian debut at Caulfield on October 11. 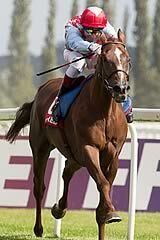 But the four-year-old son of Monsun took his game to an entirely different level under a majestic Moore. 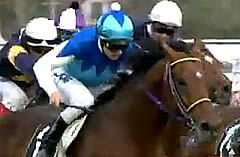 Despite having missed the break, the peerless jockey was happy to bide his time towards the rear as the keen-travelling My Ambivalent took the field along at a brisk pace. Irish challenger Royal Diamond was also prominent in the early stages, as was home favourite Fawkner and big Japanese hope Admire Rakti, who finished last and had to be put down after he collapsed upon his return from the track. The landscape of the race changed markedly around the home turn as the Ed Dunlop-trained Red Cadeaux gained a slight lead two furlongs out and fleetingly looked poised for a famous success at the age of eight. But Moore, who also claimed the Cox Plate aboard the Aidan O'Brien-trained Adelaide towards the end of October, and Protectionist had other ideas. The splits arrived beautifully as the pace quickened inside the final furlong, which unquestionably played to the strengths of Wohler's inmate, who surged handsomely clear for a decisive triumph. Who Shot Thebarman and Signoff finished third and fourth respectively, while Godolphin's Willing Foe, trained by Saeed bin Suroor, ran a blinder in fifth spot. Moore said: " He's won very easily, like a very good horse. "I was struggling for a position early on, but I had so much horse under me. "I'm very pleased for him (Wohler), his record is very good. "I've got to thank Michelle (Moore's wife) at home because I've been away a lot. "You need to win these races for it to be worthwhile. Wohler praised Moore's role in the Protectionist fairytale. He said: "Ryan couldn't have the position that he'd liked to have had, but he was so patient. "When they came round the last bend he just needed to have the right gap and he found it. "He (Protectionist) quickened so well and Ryan is a superstar. "He stays and has a nice turn of foot. We just needed a smooth run and the jockey was absolutely great. "We have had great success all around the world, but this is the biggest of all. "This is a moment we won't forget." Protectionist is now set to continue his racing career in Australia under the tutelage of trainer Kris Lees. Luke Murrell, director of part-owners Australian Bloodstock, said: "We'll talk to Kris and Andreas, but I think we'd look like giving him a lead-up run before the BMW (in Sydney next year). Asked about Royal Ascot, Murrell said: "It's a possibility, for sure. There are lots of options." 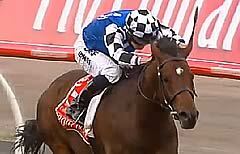 Dunlop hailed Red Cadeaux, running in the Melbourne Cup for a fourth time, as "the greatest bridesmaid ever". The Newmarket handler said: " He's always susceptible to a younger horse but I'm very proud. "The way the race was run we were in front plenty soon enough for us and the winner was very good on the day. "We'll have to come back again, but we'll just see how he is as he's old. "However, I would like to bring him to Sydney in the autumn. "He's just been an amazing horse, he must be the greatest bridesmaid ever." Bin Suroor was especially satisfied with the outcome after his other contender, Cavalryman, was a late defection from the race. He said: "We understand what happened with Cavalryman, it was up to the vets. "I'm happy with Willing Foe, he ran a good race and was beaten by a better horse. "We'll keep him in mile-and-six staying races and, who knows, he could come back." Seismos, trained by Marco Botti, finished a creditable ninth from a tough draw in stall one. Botti said: "There was nothing Craig (Williams, jockey) could really do with the draw he had, but he finished the race well." John Gosden felt Gatewood, who came home in 12th place, did not see out the two-mile trip. The Clarehaven handler said: "He ran a great race, he just didn't stay. "It wasn't the usual Melbourne Cup as My Ambivalent did her own thing from the front. "He'll come back home now and have a break until the spring." Despite having shown up promisingly for a long way, the Johnny Murtagh-trained Royal Diamond beat home just two horses. Stablemate Mutual Regard, impressive winner of the Ebor at York in the summer, fared a little better in 14th place, while the headstrong My Ambivalent was 17th. But the day belonged to Moore, who was typically quick to deflect the glory. The jockey said: "I've just got to thank Andreas, who did a marvellous job bringing this horse all the way down here for a long-term plan. "He did a top-class job and all I had to do was point him. "He's a very good horse, he's still improving, and who knows how far he could go. "It's probably the greatest race in the world and I hope everybody enjoyed their day." But the death of Caulfield Cup winner Admire Rakti and later Araldo cast a pall over Flemington as German trainer Andreas Wohler and English jockey Ryan Moore jubilated in an epic triumph. Admire Ratki died in his stall after being eased down in the straight, while Araldo could not be saved after smashing a cannon bone when he lashed out at a spectator’s flag and kicking a fence.